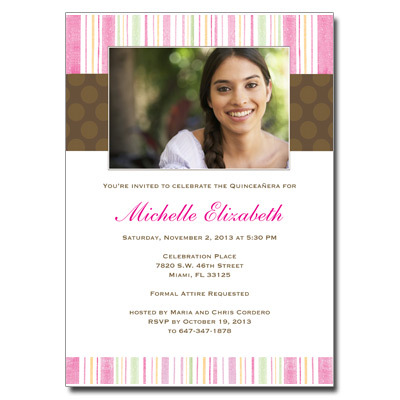 Celebrate your Quinceanera with this stylish and modern photo invitation. This design features your photo and combines stylish pink, green, yellow and white stripes with modern chocolate polka dots. Your name is printed in a pink script with event info printed in chocolate on a white background. Card measures 5 x 7.